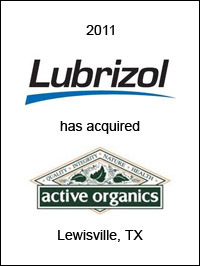 The Lubrizol Corporation, Wickliffe, Ohio, has acquired Active Organics, Inc. based near Dallas, Texas. Active Organics is a leading manufacturer and supplier of naturally-derived specialty ingredients including botanical extracts and natural performance ingredients for the personal care industry. Lubrizol, a Berkshire Hathaway company, is an innovative specialty chemical company that produces and supplies technologies to customers in the global transportation, industrial and consumer markets. 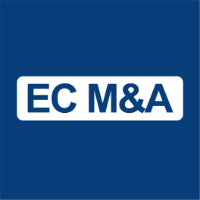 EC Mergers & Acquisitions acted as exclusive financial advisor to Lubrizol on this transaction.